The network effects that destroyed traditional news organizations are benefiting digital startups, which can grow virally and generate outsized impact in their communities. My teaching colleagues are experts on the economics of the media industry, and we recently had a lively debate on how to reverse the financial crisis of journalism. The collapse of the industry's business model is endangering the institution of journalism-the Fourth Estate, a counterweight to power--by eliminating journalists and media coverage, especially for local media. It's a question that was explored recently by Ken Doctor at Nieman Lab in his report, "Newspapers are shells of their former selves. So who’s going to build what comes next in local?" Doctor details a number of initiatives by non-profit and for-profit organizations aimed at filling the gaps in local news coverage involving hundreds of media outlets. But using the standard industry metrics, it doesn't a appear to be sufficient to plug the gaps in the short term without significant changes in the way news media do business. Entire communities are losing news coverage of any kind, a pillar of democratic institutions. But there is another way to look at this situation. True, at the moment, the news organizations that are making a difference represent a tiny fraction of the news media industry. However, some of the old industry metrics for media organizations--total revenues, number of employees--are not relevant for digital media. The future of journalism lies with the nimble, agile business models that are emerging based on low-cost digital production and distribution technologies, highly focused niche content, and a focus on users rather than advertisers. Among outstanding examples are eldiario.es and ElConfidencial in Spain, Animal Politico in Mexico, and Texas Tribune in the U.S. The investigative news site eldiario.es started out six years ago with a handful of journalists but competed with the vast newsrooms of the biggest daily newspapers in Spain. 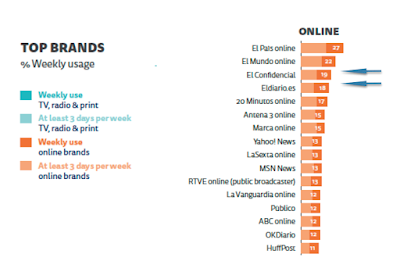 Today it has 33,000 "partners" who are paying $67 a year for a free publication that generates $5 million (Spanish) in revenue and is one of the most popular and trusted media brands in the country (Reuters Institute Digital News Report 2018). What the startup had was a sharp focus: coverage of corruption in politics, business, and media. What it didn't need was an enormous infrastructure for production and distribution (printing press, office building, delivery vehicles, distribution network) nor any of the accompanying debt load. Two digital startups, eldiario.es and El Confidencial, are among the most trusted news brands in Spain. So, the bad news is that the news industry as a whole will employ fewer people. And the individual news organizations will be much smaller than in the past. Total revenues will be much less, but so will total costs. The new models will be lean and agile. These new news organizations are able to grow rapidly, like a virus, based on the network effects of digital communication. A digital startup will be able to reach an audience of millions in a matter of months or years. 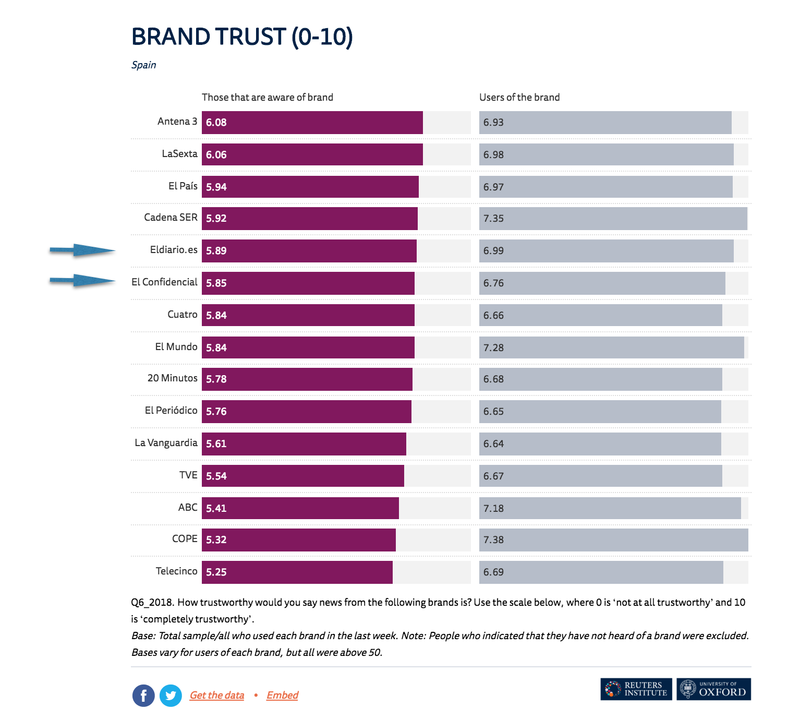 A recent study of 100 digital media startups in Latin America that I participated in as an editor and researcher found that these organizations were having impact locally, nationally, and internationally. But at the same time, their total revenues of around $15 million annually represent a tiny fraction of the industry. Many of these digital startups, especially on the local level, will appear and disappear rapidly, but the accumulated learning will fuel their successors. Every failure contains the seeds of the next potentially successful startup. This process of trial and error has provided the basis of every major industry we have today, from agriculture, to textiles, to automobiles, to pharmaceuticals, to computers, to mobile phones. These industries moved from the cottage (or garage) to the workshop to the factory. The network effects that destroyed the traditional business model of news media, sending advertising revenue to the technological platforms, are also benefiting the news startups. How else to explain an email newsletter for young professional women, TheSkimm, which grew to 7 million email subscribers in six years? It has attracted millions of investment. And while there will be some news organizations run as successful businesses generating profits for investors--the American Journalism Project is investing in them--the trend is toward news media as public service organizations whose main goal is to improve the quality of life in their communities rather than generate a return to shareholders. The digital forces that destroyed local journalism can power the public response. And that can happen quickly. The biggest obstacle to this, says one of my colleagues, is inertia. Some media owners seem content to milk the profits from their enterprises until all that remains is the fixed assets, which they will then sell off. As long as leaders of government, business, and media fail to take action, we will see a continued rapid decline. But this media revolution is not coming from the top down; it is coming from the bottom up. It might take longer, but it also might be more enduring. He previously worked for three decades in the newspaper business. He led a team of investigative reporters at the Columbus Dispatch, and he was later editor of Business First of Columbus and publisher of the Baltimore Business Journal. His work won awards from the Associated Press, Society of Professional Journalists and Press Club of Cleveland. 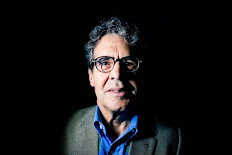 In his second career, he was founding director of the Center for Digital Journalism at the University of Guadalajara in Mexico. He served as the editorial consultant for Crain Communications on the launch of a weekly business newspaper in Manchester, England. He also directed the master's program in Global Business Journalism at Tsinghua University in Beijing on behalf of the International Center for Journalists. He has a master’s degree in English literature from the University of Connecticut. His blog on entrepreneurial journalism in Spanish is at jamesbreiner.com. See the video introduction to his talk on entrepreneurial journalism in Prague at the Source Fabric conference. Mi blog sobre innovaciones en el negocio del periodismo digital. "8 prácticas de los periodistas emprendedores exitosos", 9 February 2017, Universidad de Sevilla, Spain. "Sustainable financial models for investigative journalism," lecture, Primer encuentro caribeño de periodismo investigativo, San Juan, Puerto Rico, 5 November 2015. "Deal with the Devil: Facebook, Google and the Migration to Mobile," Lecture at ISCTE-IUL, Lisbon, Portugal, 15 May 2015. "New entrepreneurial journalism ventures in Spain," iRedes 5th Iberoamerican Conference on Social Media, Burgos, Spain, 17 April 2015. "The Mobile Audience Has Changed All the Rules of the Game," International Conference of Local Media, Barcelona, 26 March 2015. Moderator, "The Profile of Entrepreneurial Journalists," The 3rd Latin American Forum on Digital Media and Journalism, Mexico City, 9 October 2014. "The Mobile Audience Has Changed All the Rules of the Game", Congreso Internacional de Periodismo Digital, Cancun, Mexico, 6-7 March, 2014. "Entrepreneurial Journalism," (Periodismo emprendedor), Cartagena (Aug. 27) and Medellin (Oct. 9) Colombia, 2013, invited by Periodismo de Hoy, FNPI, Ministerio TIC. "Building the new journalist" (El ensamblaje del nuevo periodista), Congreso itinerante de periodismo digital, Puebla, Mexico, 30 August 2013. "Entrepreneurial Journalism Initiatives," via webinar, U.S. Embassy, La Paz, Bolivia, 27-28 July 2013. "How to verify content in Weibo and microblogs," Thomson-Reuters Programme on Global Journalism, China Radio International, Beijing, Dec. 20, 2012. "Promote your brand with social networks; entrepreneurial journalism techniques," Tsinghua-Netease Future Media Center, Beijing, Sept. 22, 2012. "New Trends in Journalism Education," Seminar on Financial Media Management and Business Journalism Education, Tsinghua University, Beijing, Sept. 21, 2012. "Entrepreneurial Journalists in Latin America and Europe," Summer course, Universidad Complutense de Madrid, El Escorial, Spain, July 13, 2012. "Independent Journalists on the Web," Xi'an International Studies University, Xi'an, China, May 24-25, 2012. "New China Seen through the Eyes of American Journalists," Chinese Association of Global Communication Conference, Shandong University, Weihai, China, Nov. 4, 2011. "Entrepreneurial Journalism Ventures in Latin America and Europe," MediaFabric Conference, Prague, Czech Republic, Oct. 21, 2011. Coordinator of Laboratory of Digital Journalism Entrepreneurs, online course for Fundación Nuevo Periodismo Iberoamericano, Colombia, May-December 2011. Breiner, J. (2018). "Regreso al servicio público y al enfoque en el usuario: Algunas señales de la revolución mediática desde América Latina", Asuntos de Comunicación, 109, 22-25. Telos, Fundación Telefónica: Madrid. R Salaverría Aliaga, MP Martínez-Costa Pérez, J Breiner (2018): “Map of digital news media at Spain in 2018: quantitative analysis”. Revista Latina de Comunicación Social, 73, pp. 1034 a 1053. Breiner, J. (2017). David vs. Goliat en medios digitales: el capital social como arma defensiva ante Facebook y Google. En Mediamorfosis: Perspectivas sobre la innovación en periodismo. Eds. Félix Árias Robles y Alicia Lara de González. XXIII Congreso Internacional de la Sociedad Española de Periodística (UMH). pp. 319-36. Breiner, J. (2017). Mapping the world’s digital media ecosystem: The quest for sustainability. In P. Berglez, U. Olausson, & M. Ots (Eds.). What is Sustainable Journalism? Integrating the Environmental, Social, and Economic Challenges of Journalism. New York: Peter Lang. Breiner, J. (2017). "Social Capital to the rescue of the Fourth Estate: A Playbook for Converting Good Will into Economic Support". ISOJ Journal, 7 (1). El “contenido distribuido” ha transformado las plataformas tecnológicas en los nuevos editores. ¿Están listos para su nuevo rol? En I. Bel Mallen (Ed.). 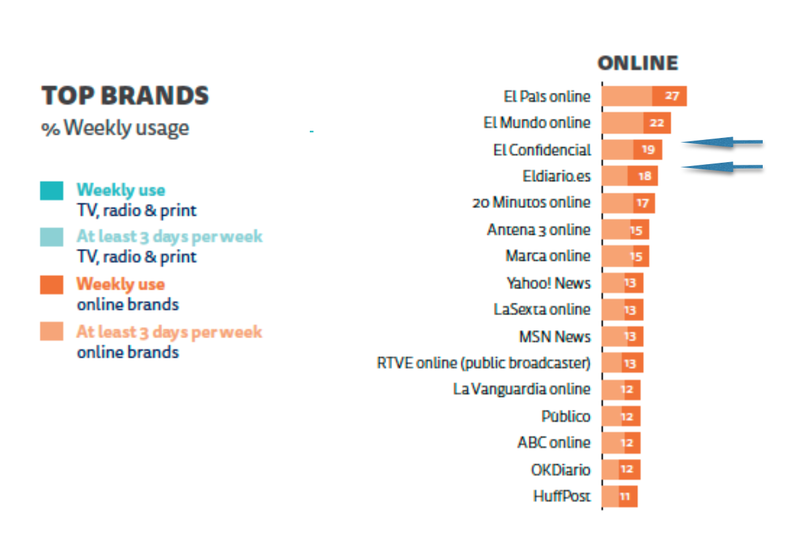 La prensa digital en España 2016, 81-93. Madrid: IME, Institute for Media and Entertainment. Mapping the world’s digital media ecosystem: The quest for sustainability. In P. Berglez, U. Olausson, & M. Ots (Eds.). What is Sustainable Journalism? Integrating the Environmental, Social, and Economic Challenges of Journalism. New York: Peter Lang, 2017. "The Surrender of Digital News Publishers" (La rendición de los editores de los medios digitales) (2015). in García Avilés, J.A. ; Ferris, J.L. ; & González, J.L., eds. Innovar en Periodismo: X Jornadas Internacionales de Periodismo UMH. Diego Marín Librero Editor, Murcia, 109-120. "Innovation in Communication: An Art that Humanists Need to Learn and Teach," Revista Empresa y Humanismo, XVIII, 2 (2015), Spanish. Prologue (in Spanish) to the book "Innovation and Journalism: entrepreneurship in the University"
News Entrepreneurs by James Breiner is licensed under a Creative Commons Attribution-NonCommercial-ShareAlike 4.0 International License. Based on a work at www.newsentrepreneurs.blogspot.com.